Our probe station is configured to serve as a platform for precise probe head positioning. Standard probe station platforms are made of aluminium material with black anodized finish. Shape and size of the platforms are as per customer requirements. There are M6 tapped holes on 25mm grid. These platforms are available in various materials, sizes and shapes and with different patterns of holes. Heavy duty pillar posts and magnetic / slotted bases are used to create the platform. Material other than aluminium can be used as per customer requirements. 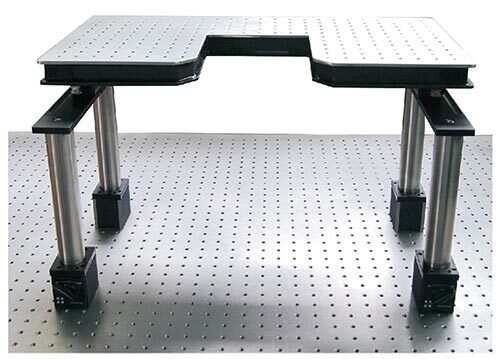 Holmarc manufactures vibration isolated supports and honeycomb table tops in various models. Please refer Breadboards for more detail about these products. The isolated supports find wide applications in life science laboratories for conducting vibration sensitive experiments. Pneumatic isolators are used for preventing ground vibrations to reach the work stations. The size of the platforms can be as large as 3 x 1.5 meters. The probing system is manually operated, yet precise and operator friendly. 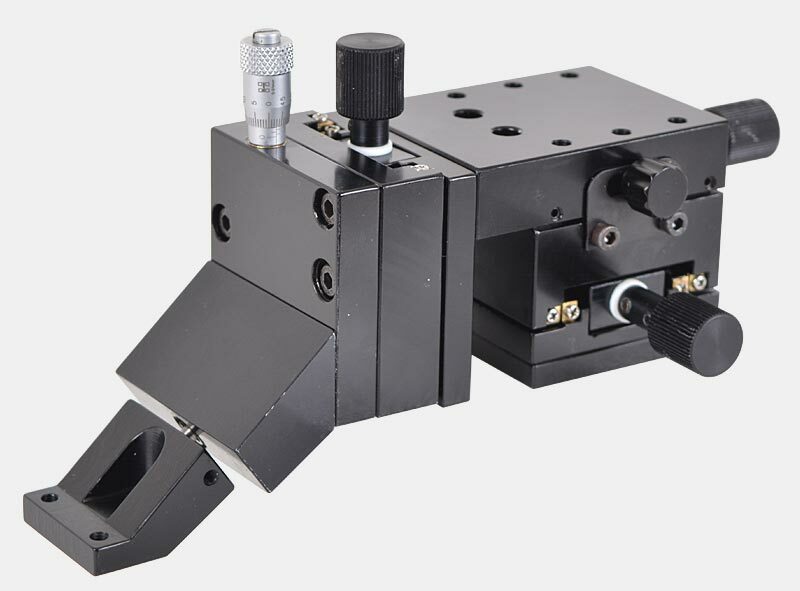 A wide range of probe holders, three-axis positioners and optics packages are available to customize the solution to your application. 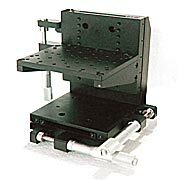 Positioners feature rolling contact bearings for precise and smooth motion. Optional vibration isolation supports reduce the effects of steady-state and transient vibrations in test area. 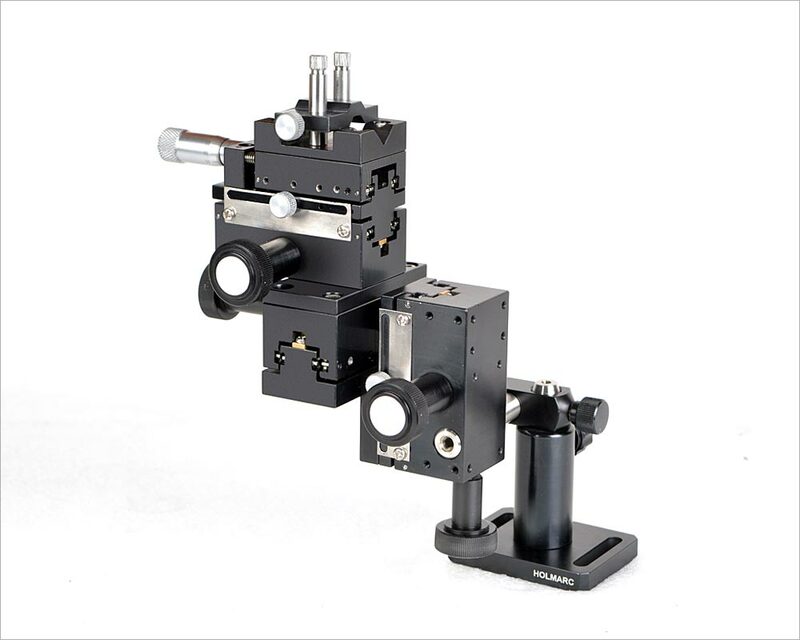 Rigid bridge positioning mechanism is available for mounting the microscope. Probe station can also be configured with a high resolution video system, including camera and LCD monitor. 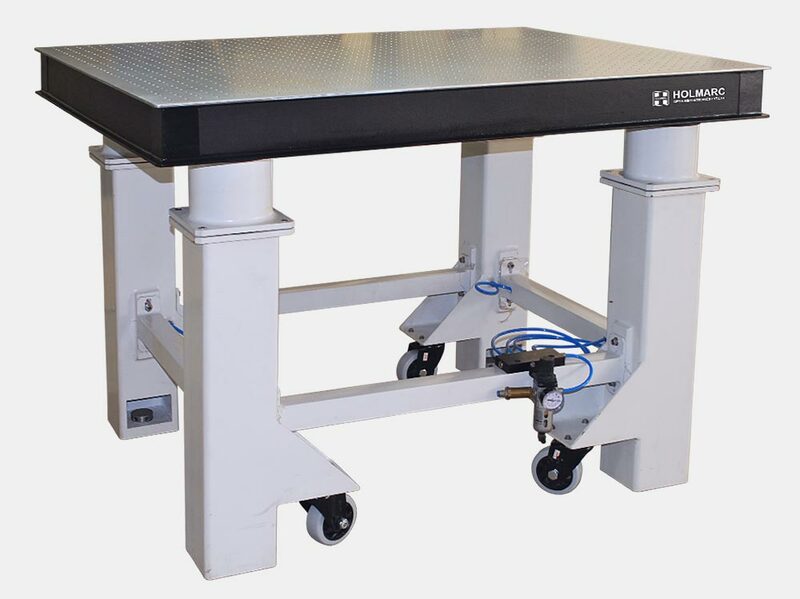 We manufacture variety of lab benches and tables, including vibration isolation systems. Probe station platforms are made of aluminium material with black anodized finish. These can be constructed in honeycomb structure as well. Shape and size of the platforms are as per customer requirements. There are M6 tapped holes on 25mm grid. These platforms are available in various material, sizes and shapes and with different patterns of holes. Heavy duty pillar posts and magnetic / slotted bases are used to create the platform. Materials other than aluminium can be used as per custom specifications. 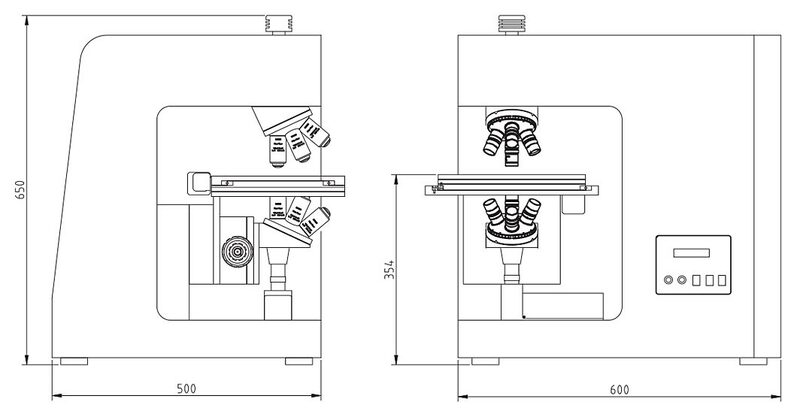 The micromanipulators are available with either motorized or manual movements in all three axes (X, Y and Z axis). 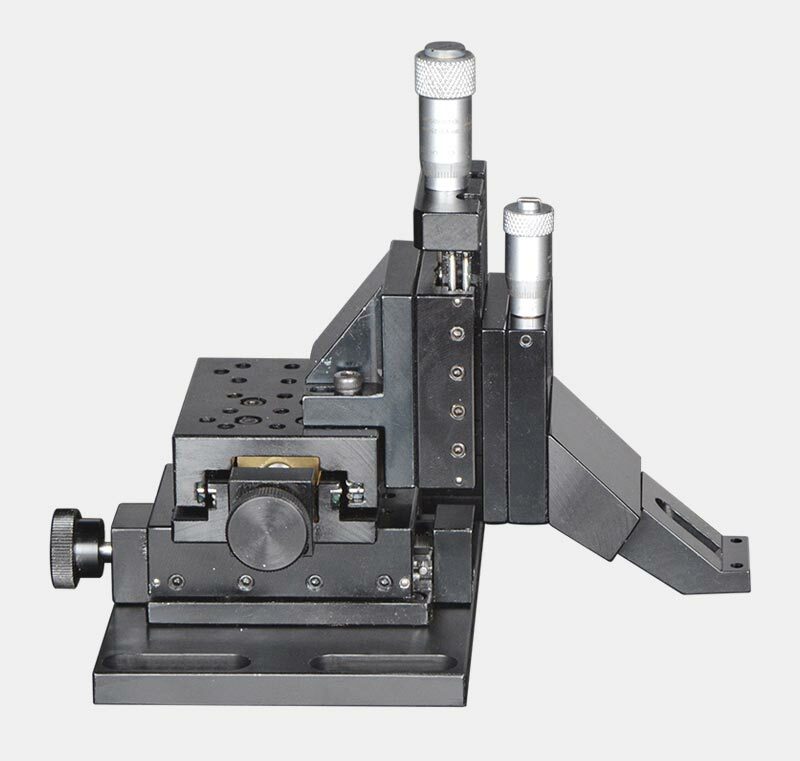 The manual micromanipulators are equipped with precise and stable rolling contact bearings without play and backlash. Wear and tear is negligible for all practical purposes. Coarse and fine movements are provided for all axis. Coarse movement is by rack and pinion for quick positioning where as fine movement is by either micrometer or by fine pitched lead screw. Special clamping arrangements are provided for safe fixing of sensors. Linear graduation are given by the side of the stage for repeatable positioning. 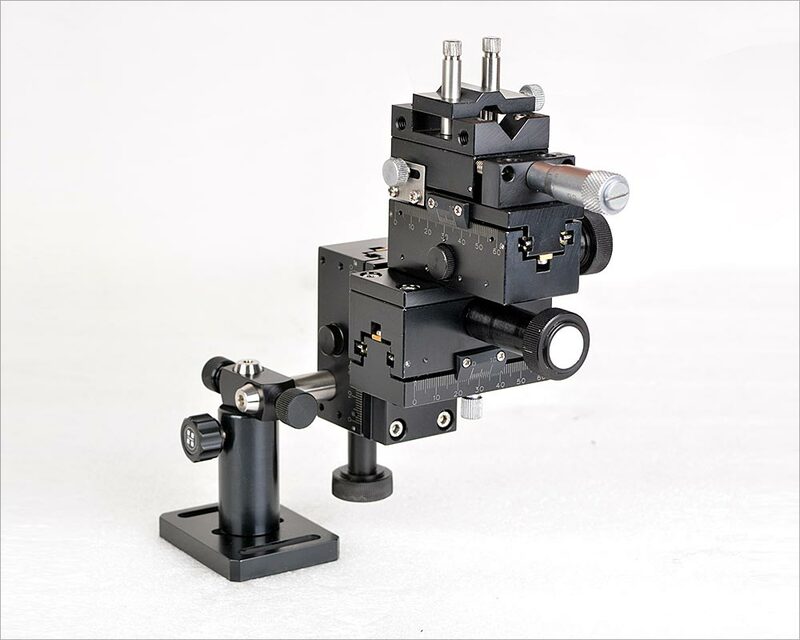 Micro-manipulator provides safe and efficient positioning of micro tool. The manupulators are designed and manufactured for either left hand side or right hand side use. In both cases when placed correctly the adjustment knobs comes to the side of the operator. We have different models for left hand side and right hand side use as specified below. Custom probe holders are also available on special request. 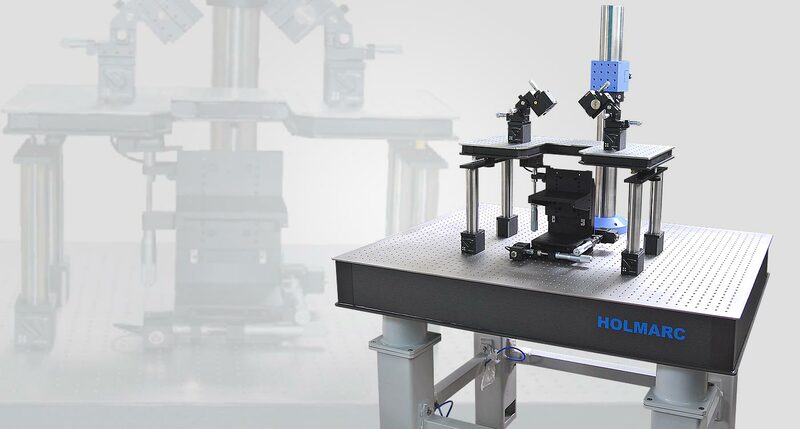 Holmarc offers precision motorized micromanipulators that will provide automated movement in all 3 orthogonal axes. 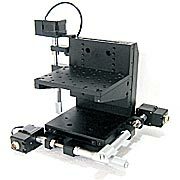 Motorized Micromanipulators are used to manipulate micro sized objects or specimens under a microscope. 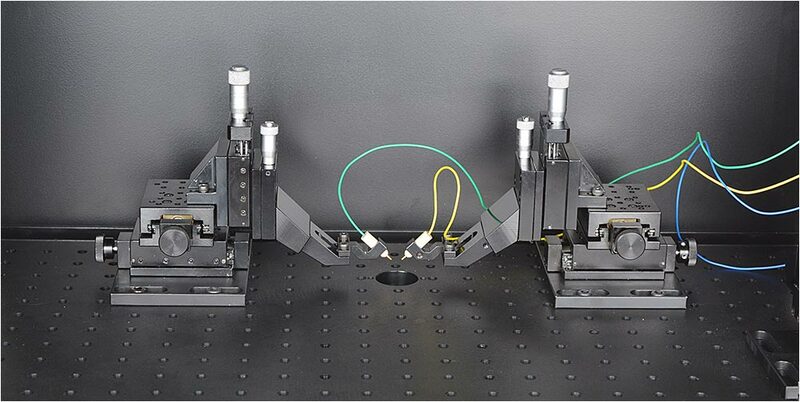 A benefit of using motorized micromanipulators is the precision movement on a variety of axis that enables absolute manipulation far superior to traditional manual manipulation. Common actions included holding, cutting or injecting and are often controlled via joystick. All the movements are integrated and control by our motion control software. 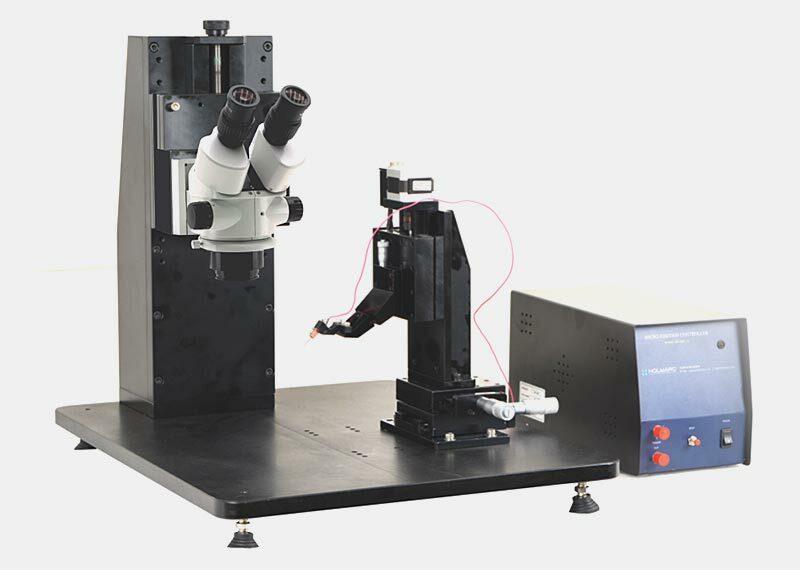 These micromanipulators use a combination of stepper motors and piezoelectric control of translation stages to provide precise movement. 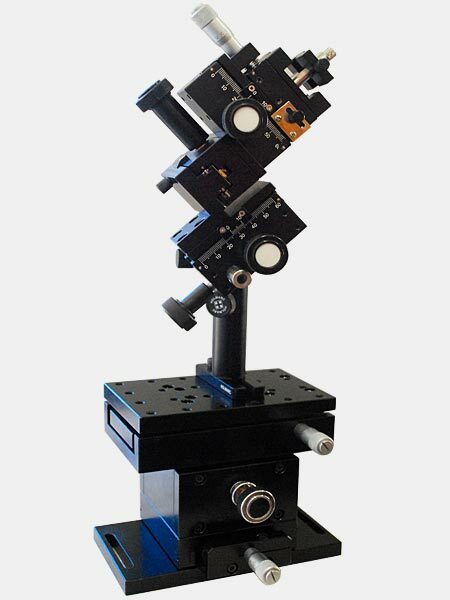 The micromanipulator can move along three different axes. Coarse translation is controlled using a stepper motor that produces a displacement up to 25 mm with a step size of 0.5 μm. Fine control on the micromanipulators is achieved with piezoelectric unit that provide a displacement of either 10 μm along each axis. Micro manipulator is a tool that allows the user to move an input device that correlates to much more precise movements on the object being manipulated. A micro pipette, electrode or probe can be mounted on a micro manipulator and move as little as a micron at a time. 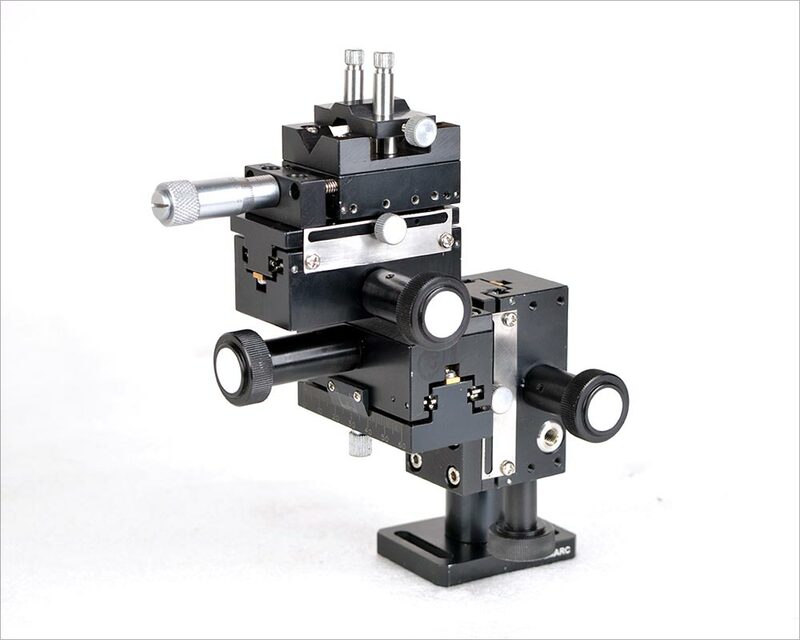 This tool can be used for in vitro fertilization, patch clamp experimentation, extracellular recording, micro injection and any application requiring fine mechanical displacement. A probe holder is either straight or bent, designed to hold the probe tip on one end and is held by the manipulator collet shaft on the other. Probe holders secure the probe tip with either a pin jack or set screw probe mount. Custom probe holders are available on request. 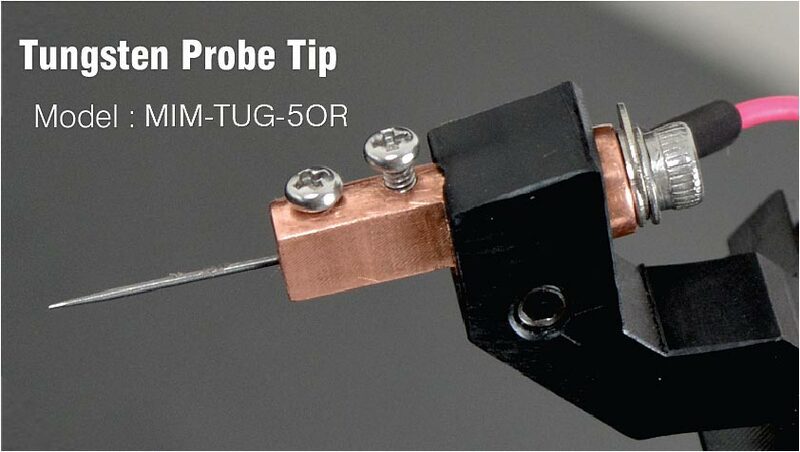 The Probe Tip (or needle) is the part of the micromanipulator unit that actually touches the device under test (DUT). 5 micron tungsten probe tip are useful for standard, general purpose probing needs. Tungsten is a good conductor and works well for the majority of probing requirements, including probing on aluminum. Probes with a tungsten shank are pliable enough so that they can be bent to a particular shape by the end user if necessary. 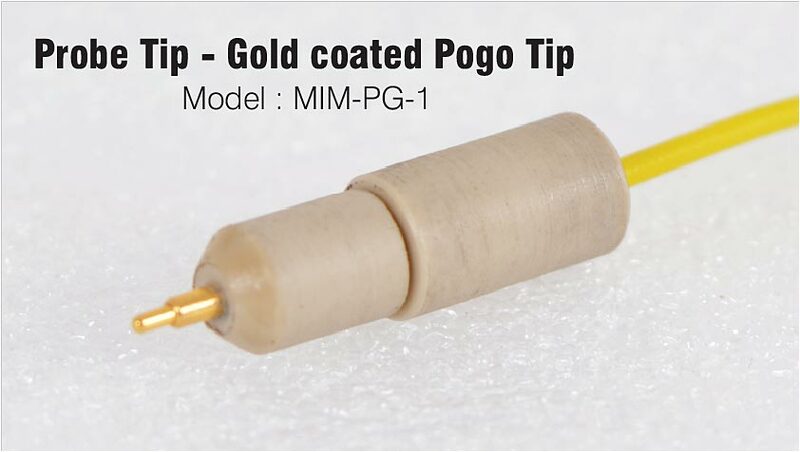 Pogo Pins are designed to mate with gold plated PCB pads or flat contacts in docking / cradle applications to function as the charging, data transfer or programming interface to a portable device. Gold plated contacts provide high reliability and signal integrity over 10,000 cycles.